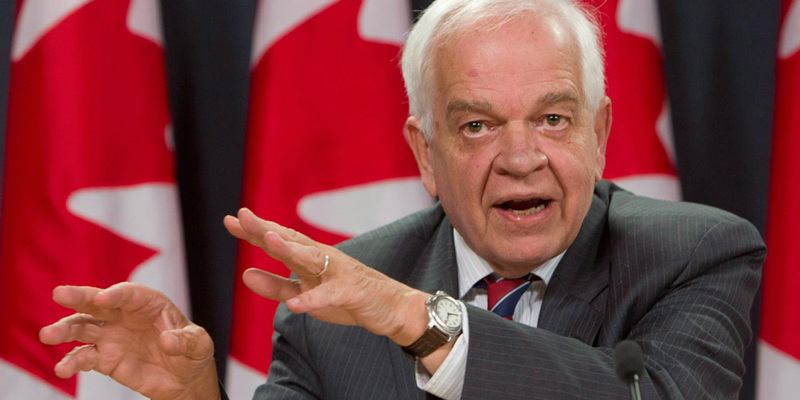 Immigration Minister McCallum Flies to Brussels to Hold Crucial Visa Talks - Canada Immigration and Visa Information. Canadian Immigration Services and Free Online Evaluation. Canada’s Immigration Minister John McCallum will fly to the European Union’s headquarters in Brussels on Sunday as the deadline looms in the wrangle over travel visas. With discussions on visa requirements increasingly linked to the ratification of a crucial trade deal, McCallum must tread a fine line after the uncertainty created by Britain’s vote to exit the EU. Romania and Bulgaria are set to veto the Comprehensive Economic Trade Agreement (CETA) if Canada does not grant their citizens visa-free travel as part of new EU reciprocity rules. Canada has previously said neither country meets requirements for visa-free travel, with McCallum stating ‘we don’t do it in terms of reciprocity’. But Romanian Prime Minister Dacian Ciolos visited Canada in June and it said to have agreed to work together with Prime Minister Justin Trudeau to solve the issue. The EU had been expected to ratify CETA at European Parliament level, but after turbulence created by the so-called ‘Brexit’ vote, part of the ratification process will now take place at state level, meaning it must pass through the individual parliaments of all 28 members. EU introduced rule in 2014 saying all countries with visa-free access must provide same privilege for all member states. Countries including Canada and US given two years to comply. Canada does not allow visa-free travel for Bulgarians or Romanians. Deadline expired on April 12, was extended to July 12. No agreement likely to mean Canadians will need visas to travel to Schengen area (not including UK and Ireland). Romanians using recent lifting of Mexican visa requirement as part of their argument. Canada-EU trade deal has been 7 years in the making. Would give Canada car manufacturers, plus beef and pork producers, significant access to EU markets. Initially faced fierce opposition in France and Germany. Opposed by one of Belgium’s four parliamentary houses. Romania has linked its support for deal directly to visa reciprocity. Formal signing of deal was expected in October, but now likely to de delayed. ‘Brexit’ created further uncertainty due to Britain’s involvement in the deal. Canada’s International Trade Minister Chrystia Freeland has been leading the negotiations and is confident the majority of the deal will be in place by 2017. Romania sees its case for visa-free travel as stronger than Mexico’s. The Mexicans were granted visa-free access to Canada in June for the first time since 2009, when the restriction was imposed because of a huge number of asylum claims. Trudeau is understood to have granted the privilege against the advice of officials from Immigration, Citizenship and Refugees Canada.